Ad-blocker use is growing rapidly, as online consumers grow fed up with the combination of slow-loading web pages, pop-up ads and auto-playing video ads. According to a report from PageFair and Adobe earlier this year, there were, on average, 12m monthly active users of ad-blockers in the UK in the second quarter. How much this is affecting ad tech firms, publishers and marketers remains debatable. The Mail Online, the biggest English-language news site globally, said it hadn’t seen much impact from ad-blockers – though it’s doubtful whether there’s much crossover between tech-savvy ad-blocker users and the Mail Online’s target audience. But publishers are fighting back with the help of anti-ad-blockers, technologies that force ads onto consumers even when they have an ad-blocker installed. 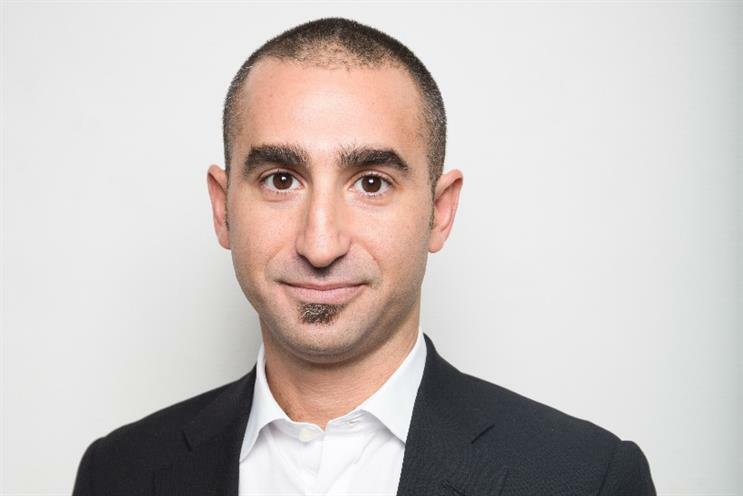 Ben Barokas founded ad tech firm AdMeld and sold it to Google for $400m, and has now started his own anti-ad-blocking firm, Sourcepoint. The company launched in June with $10m in Series A funding, and claims to offer consumers "choice and transparency". It allows publishers to push ads on readers who have installed ad-blockers, though Barokas won’t explain how. He will reveal to Marketing only that Sourcepoint’s technology is different from anti-ad-blocking rivals PageFair and Secret Media. Sourcepoint offers free analytics to publishers, as well as "advertising recovery and persistent messaging", meaning forced ads. The company will build out revenue options for publishers and is considering a paywall-style option, where users can subscribe to a publication for an ad-free experience. Sourcepoint would then take a cut of that fee. Barokas won’t say who his customers are, but claims they rank among the biggest publishers in the world, with clients in the top five media markets of the UK, US, Germany, France and Canada. For Barokas, this is an attempt to wrest back control from big ad-blockers like Adblock Plus and its "acceptable ads policy", which lets advertisers slip through ad-blockers provided they meet certain criteria. He says: "We are fundamentally different from PageFair or Secret Media [which] are in my mind looking to create an ad network out of ad-blocker users. They are kneeling down to the acceptable ads programme that has been put forward by the ad-block consortium." He goes on to liken this to "blackmail" and "extortion" when it comes to publishers' revenue, adding that ad-blockers don’t give users a "conscious choice" around compensating publishers whose work they enjoy. "The user should be the one to choose whether the publisher has content valuable enough to consume ads, provide data or pay in currency," he says. Barokas' big bugbear is transparency – so how many of the big publishers using Sourcepoint are actually telling their readers they’re forcing ads through? "We’re not mandating that publishers provide notification and a choice," he says. "It’s our recommended best practice, [but] we have a number of publishers moving forward with serving ads despite the ad-blocker." He adds: "We’re running relatively even in terms of the ones that message versus the ones that don’t message." Earlier this year, Marketing spoke to Dean Murphy, the developer behind one of the most popular ad-blockers, Crystal, who said mobile ads had got "out of hand". "Some of the sites I see have six or seven different ad networks, displaying different types of ad," he said at the time. "Every time you add an ad network, that’s extra load time and bandwidth." This ties in with the opinion that ad tech firms are responsible for the ad-blocking problem to begin with. Barokas, who oversaw exactly this kind of technology at Google, admits some culpability. "I will take some responsibility, to the degree that it’s me," he says. "We helped to establish the real-time bidding standard, cookie-matching and audience-buying, and there were both efficiencies and inefficiencies introduced." He adds: "That being said, all of this comes from a lack of transparency and understanding that publishers have to make revenue." Barokas says that even though some publishers, such as the Mail, are talking down ad-blockers, he founded Sourcepoint only because publishing clients were asking Google to solve the problem – and it chose not to. Moreover, it won’t remain a niche issue for long, he predicts. "To be frank, there’s no downside with downloading an ad-blocker," he says. "Unfortunately most publishers don’t cut off their content from users with ad-blockers. I do think this will change drastically in 12 to 18 months - people will realise their experience on most premium of publishers will be degraded exponentially. "Perhaps they’ll think twice. They’ll have to make a conscious decision going forward around whether to ad-block at all."